Here at St Peter’s we know that parents often need childcare in the hours following the school day. We offer an after school club than runs from 3.15pm until 5.15pm and costs £6.00 per session. It takes place in the school hall and the children are given time to play, do homework if they choose to, or simply relax after their busy day. During the session, the children are offered a light tea of toast with honey, cheese spread or jam, breakfast cereals with milk, or fruit. Occasionally other snacks are on offer and children’s suggestions are always taken into account. We do encourage them to make healthy choices and they are also involved in choosing and preparing their own snacks and drinks. The children also have supervised access to the toilets and to the playground/field, with a range of play equipment, on days when the weather is better. Children are offered a range of activities during the sessions – many of which they suggest themselves. 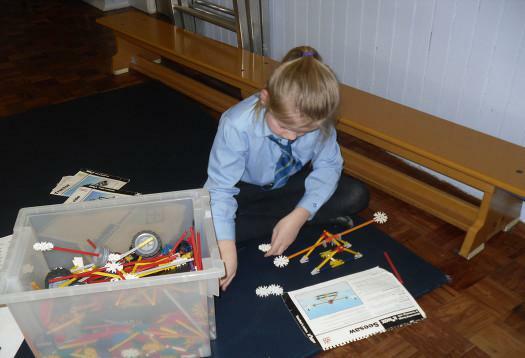 These include crafts, construction, ICT activities, art activities and role play. Depending on the number of children present, the club is run by qualified adults who are CRB checked. Many of these adults are Learning Support Assistants who work in school, so are very familiar to the children. The after school club leader is Mrs Sharon Knight who is also one of our Learning Support Assistants. The after school club MUST be paid for in advance. Fees can be paid weekly or monthly. Once your child is registered with the club, payment must also be made whether or not your child attends, in order to retain their place. Employer childcare vouchers can be used against these payments.